Weddings are an expensive endeavour! 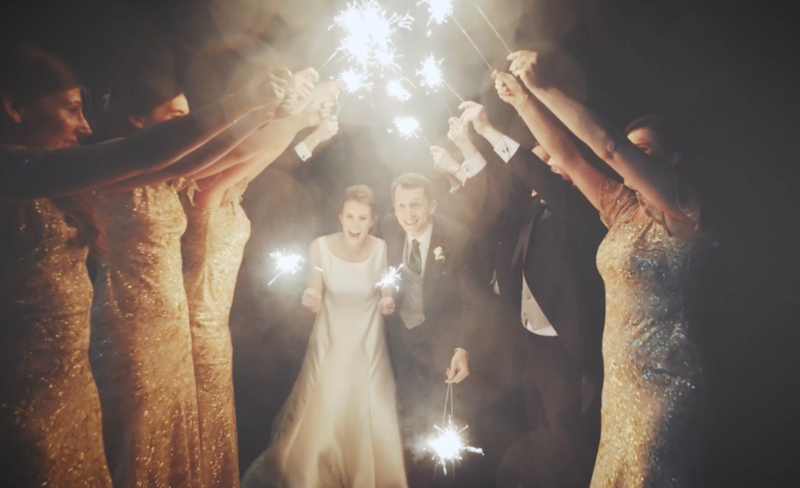 One money saving tip for amazing wedding video footage (and photos) is to use sparklers! 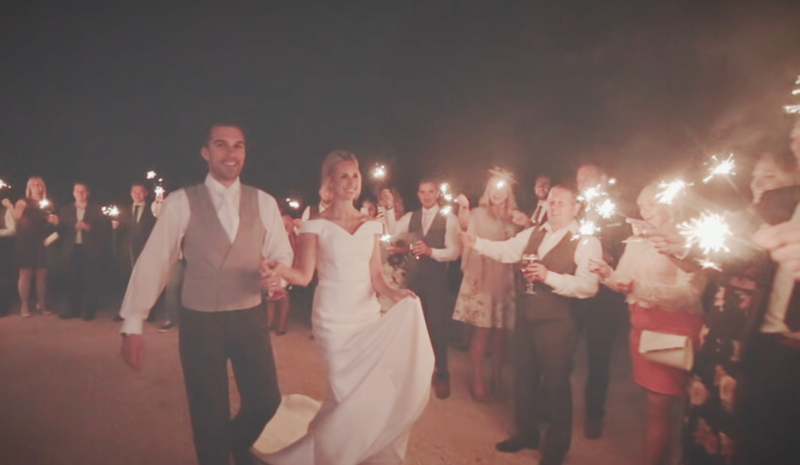 They work out to be less than 100th of the cost of fireworks, and they give you a chance to have fun and frolics with your guests for 20 minutes outside! 2017 was probably our most sparkler heavy year so far. And that’s great for us! There’s quite a bit of versatility in what you can do with them. The classic ‘sparkler run’ (or ‘runs’, depending on whether you bought the extra-long ones, which we strongly advise!). 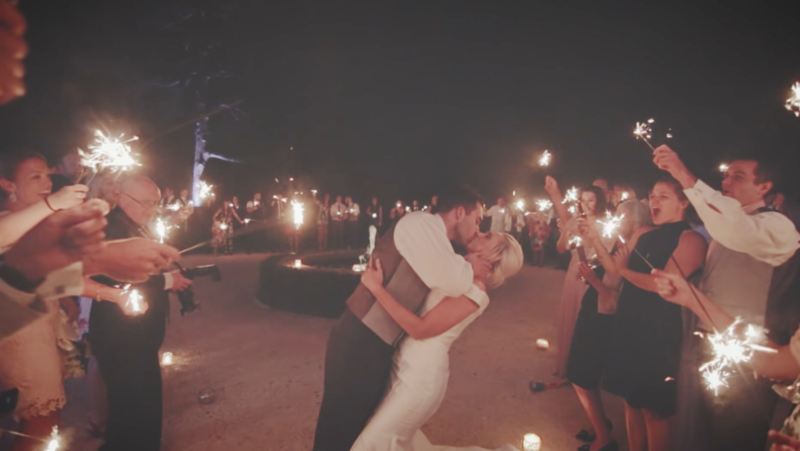 A sparkler background (usually with kisses or smiling from the bride and groom out front). 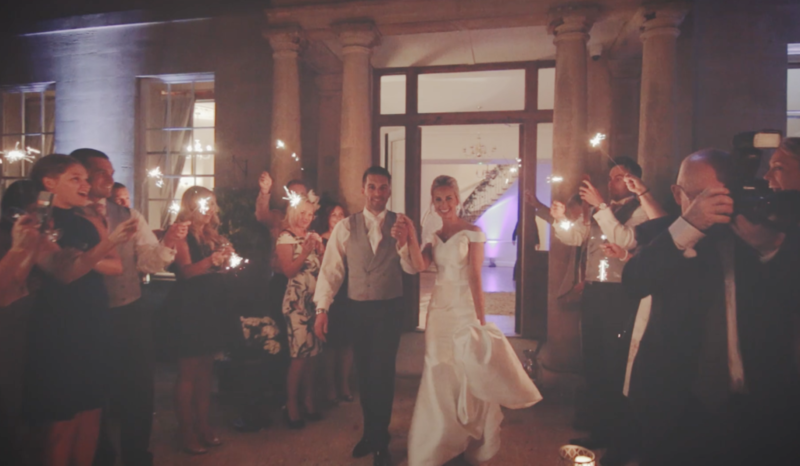 Sparkler jousting (we don’t recommend this, ever – but tipsy guests seem surprisingly keen…). Sparkler writing. This doesn’t work for video (we can’t use slow shutter speeds in the same way. But we can still capture you and your friends having a laugh while you do it! Generally, it’ll go wrong at least once (someone always writes a letter backwards!) and this gets some big laughs from the gathered crowd. Get the extra-long sparklers. It’ll give you more time for photos and video, as well as just generally extending the fun! Research! 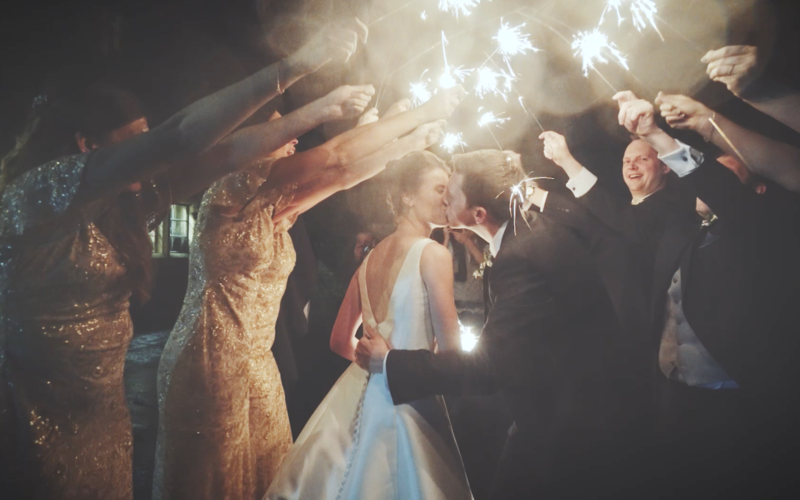 It’s worth checking out sparkler shots you might like. 90% of the time, those same shots will look just as good with the video. Noise! For us, a huge part of the video is the sounds of people enjoying themselves – the cheers and raucousness! Because our cameras are small, they might forget and go quiet once the photographers flashing is all done – we may have to whip them back into a (controlled) frenzy! And last one – slow motion! We can choose to shoot at 50fps (slows everything down to half speed) or 100fps (quarter speed). We love 100fps, but it means the low light performance of the camera isn’t quite as good – so this is generally best when we’re stood close to some other exterior lighting!